Omnilux is a new technology based on narrowband Light emitting Diodes (LEDs). Our range of products includes Omnilux blue™, Omnilux revive™, Omnilux plus™, and Omnilux PDT™ for the treatment of a wide range of dermatological conditions including, acne, photodamage, non-melanoma skin cancers, skin rejuvenation, vitiligo and wound healing post elective surgery. Omnilux was developed after 12 years of extensive medical research.Omnilux is a new technology based on narrowband Light emitting Diodes (LEDs). Our range of products includes Omnilux blue, Omnilux revive, Omnilux plus, and Omnilux PDT™ for the treatment of a wide range of dermatological conditions including, acne, photodamage, non-melanoma skin cancers, skin rejuvenation, vitiligo and wound healing post elective surgery. Successfully restoring the skin overcomes the effects of time and exposure to the sun by stimulating the creation of new collagen. It also aids the detoxification of the skin. And this is where Omnilux™ plays such a unique and valuable role. 44 yr old female, skin type II, 14 days post treatment. Because Omnilux™ stimulates cells involved in repair of the skin and increases blood flow, it can be used successfully to enhance and improve other skin treatments. Omnilux™ can be used after microdermabrasion, facial peels and laser and Intense Pulsed Light (IPL) therapy, reducing the side effects and speeding up the time your tissue takes to regenerate. Omnilux can also be used in combination with your regular facial treatments and with injections such as Botox™ and fillers, helping to maintain the effect of the treatment. 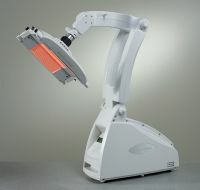 Omnilux™ light therapy is proven to stimulate cellular mechanisms responsible for tissue repair. Omnilux revive™ (633nm) therapy stimulates fibroblast activity, leading to faster and more efficient collagen synthesis and ECM proteins. Omnilux revive™ also increases cell vitality by increasing the production of cellular ATP. Omnilux ™ (830nm) stimulates the contractile phase of the remodelling process producing better lineated collagen. In combination these wavelengths work synergistically to produce better visible results and hence patient satisfaction. The various tissues and cell types in the skin have their own absorption characteristics, absorbing light at specific wavelengths. Studies have shown that red light therapy such as Omnilux can stimulate collagen precursors and enzymes associated with cellular remodelling. In a single study using Omnilux revive™ 91% of volunteers reported visible changes to their skin indicating that even 5 weeks after the last treatment there was still a positive effect on the evaluation criteria. 64% reported a reduction in fine lines and wrinkles and a perception of softer skin and 68% reported smoother skin the therapy was well tolerated and there were no reported side effects. No pain was encountered during the treatment regime and there were no reported side effects such as erythema and swelling. Optimum hydration of subjects skin was seen at 5 weeks post treatment. Mean elasticity measurements showed a decrease in the treated side of the face during the treatment regime. In a recent independent study, 83% of all subjects reported a softening of fine lines and wrinkles after a course of Omnilux plus™ and Omnilux revive™ combination therapy. Over 75% reported a marked improvement in skin softness and smoothness. Digital profilometry supported the subjective responses with significant improvements in skin roughness and wrinkle depth. 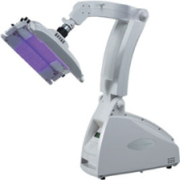 Using a combination of different lights delivered at different times we are able to stimulate these cells that help counteract the effects of ageing. Unlike some anti-ageing treatments that work as a result of the body’s response to damage, Omnilux stimulates natural processes to rejuvenate the skin.